Please describe your event in a as much detail as possible including date, time, number of people, and type of event. Follow us on Facebook and Instagram for exclusive content and offers. This place is the bomb! The owners are as sweet as their desserts. The banana-bourbon-toffee cake was amazing. Excellent location, awesome vibe in a beautiful old building. This is a must stop by! My husband had the cake, banana bourbon I believe, he loved it!! My kids had the chocolate chip cookie, it was huge & ice cream...definitely no complaints from the kids! They loved every bite! And the owners were super sweet! We will be back! Located on the 1st Floor of the Rogers Hotel Waxahachie, TX. Scoop of ice cream topped with cookie crumbles, nuts, whipped creme, drizzled with chocolate syrup. 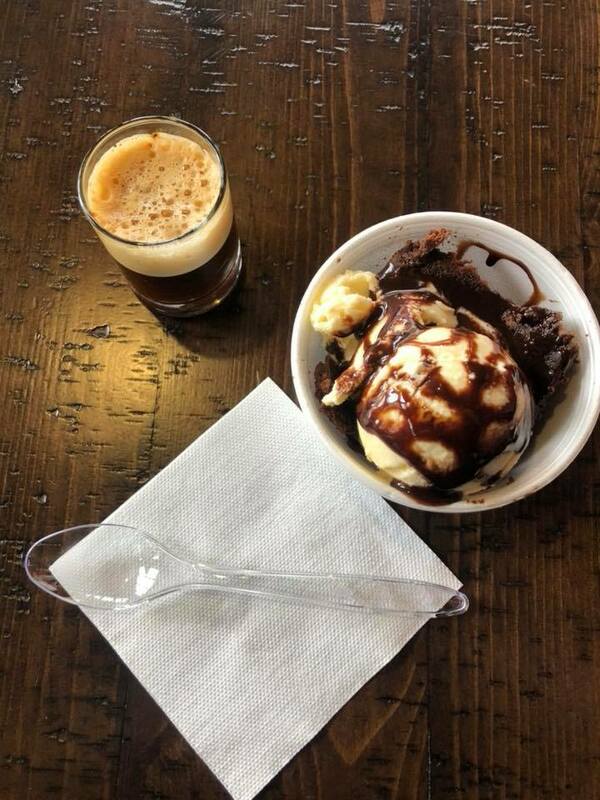 Hot espresso served over a brownie topped with a scoop of ice creme.